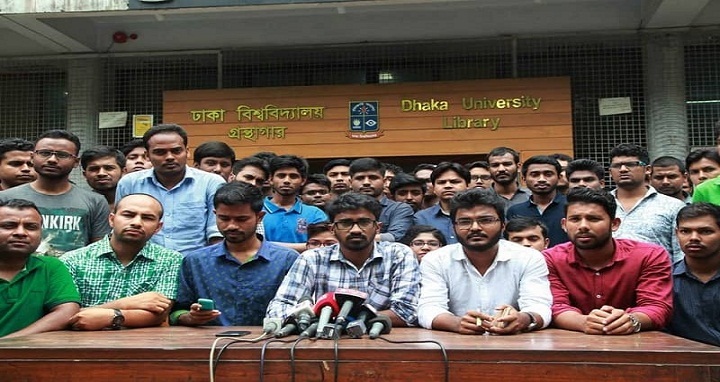 Dhaka, 13 August, Abnews: The committee formed by the government to review the existing quota system proposed abolition of almost all the quotas in public services giving priority to talent, said Cabinet Secretary Mohammad Shafiul Alam on Monday. “We (committee) have almost finalised the proposition... Our recommendations are to withdraw almost all the quotas and give priority to merits,” he said while briefing reporters after the weekly cabinet meeting held at the secretariat. Shafiul Alam, however, said court directives will be sought before taking any decision over freedom fighters’ (FFs) quota. According to the observation, he said, the posts under the freedom fighters’ quota will have to be kept vacant in case of non-availability of qualified candidates. Shafiul Alam said the government will seek opinion from the court and there will be no quota if the court drops the FF quota. "Any instruction or observation of the court has become a binding one for our executive division. We can never ignore it," the Cabinet Secretary added. Noting that time has come to open up the competition, he said, “Our decision (recommendation) is to go for merits as much as possible by scrapping the quota system."